The leaders of Ethiopia and Eritrea have announced they would re-open their embassies, hailing a stunningly swift rapprochement between bitter regional enemies at their first summit since a war two decades ago. In 1998 the horn of Africa nations began a bitter first world war style conflict over a small piece of territory with no obvious value. As many as 100,000 people may have been killed. 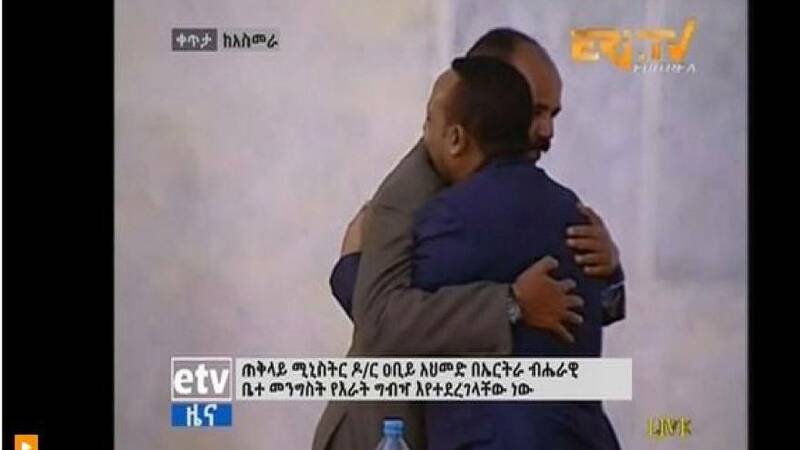 The two leaders personally symbolised the breakthrough, embracing warmly and swaying side by side to live traditional music at a lavish state dinner in the Eritrean capital. "The loss we incurred in the past 20 years cannot be recovered. But today, we feel like we have not lost anything. We feel as if the materials lost have been regained," Afwerki said in a speech at State House. Our people who live scattered as refugees in humiliation will come back with dignity. Our citizens will not be sold and exchanged like commodities," Ethiopia's new leader Dr Abiy Ahmed said with Afwerki looking on. Abiy came to office in April and announced reforms that have turned politics on its head in his nation of 100 million. With the former intelligence officer at the helm, the ruling coalition has ended a state of emergency, released political prisoners and announced plans to partially open up the economy to foreign investors. In his boldest move, Abiy said last month he would honour all the terms of a peace deal, which include ceding the contested border town of Badme to Eritrea.